I acknowledge that Aboriginal Peoples and Torres Strait Islander Peoples are the Traditional Owners of this country and they retain their relationship and connection to the land, sea and community. We pay respects to all Traditional Owners, and the Elders past, present and the future for land and sea on which we work, live and walk. We must learn the secrets it holds by listening to the stories told by its traditional owners. It will make us appreciate the natural heritage of our landscapes. In 2007, Maryanne Jacques of Adventure North Australia met with Kuku Yalanji Cultural Habitat Tours, Linc and Brandon Walker and created our signature Aboriginal experience, Daintree Dreaming to help share the real culture of North Queensland with visitors from around the world. We are proud members of Tourism Australia’s “Discover Aboriginal Tour Experiences” collective, part of Tourism Australia’s Signature Experiences of Australia program, and pride ourselves on supporting Indigenous Tourism throughout our region. 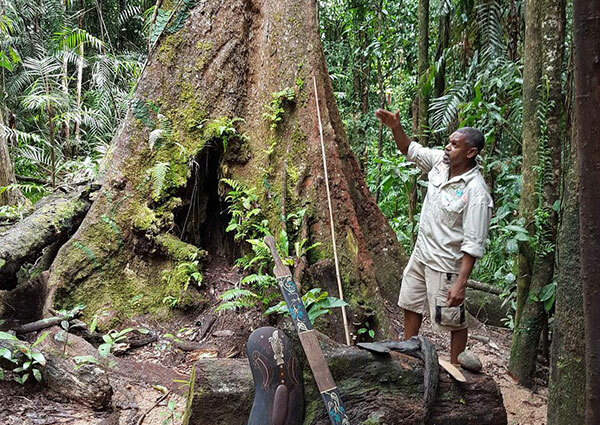 Discover our incredible region on the Daintree Dreaming Aboriginal Tour experience. 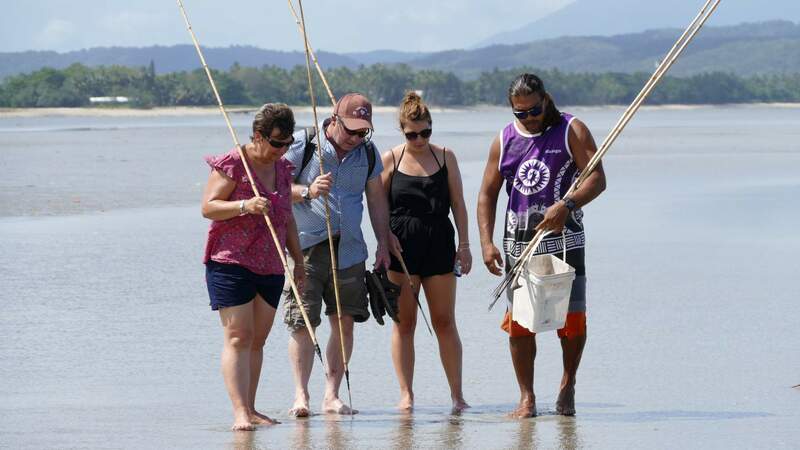 This unique and exclusive Aboriginal tour unveils the mysteries of both the traditional fishing and gathering grounds of Cooya Beach and the World Heritage Daintree National Park in one incredible day tour. Wander through lush Rainforest, experience the pristine waters of Mossman Gorge and learn traditional fishing and gathering techniques like catching crab from a Kubirri Warra clan member before damper on the balcony of the family home. 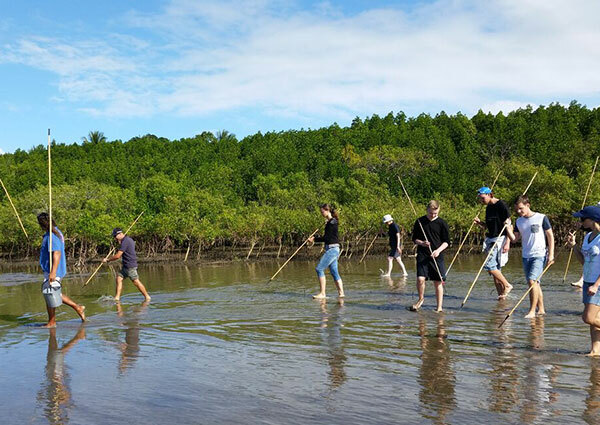 Immerse yourself in the UNESCO World Heritage-listed Daintree Rainforest with this two-day tour. Day one follows our Daintree Dreaming itinerary before an overnight stay in comfortable Rainforest accommodation. 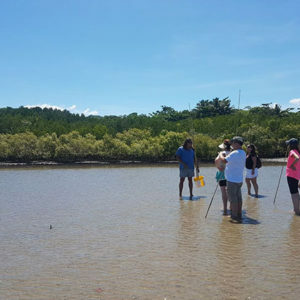 Rejoin your guide the following morning for a walk along Cape Tribulation Beach followed by a Daintree River Cruise and, later, an Aboriginal art class where you’ll listen to storytelling and create your own souvenir of Australian art. Experience the Daintree Dreaming day tour with the Ngadiku Dreamtime Walk upgrade at Mossman Gorge included. 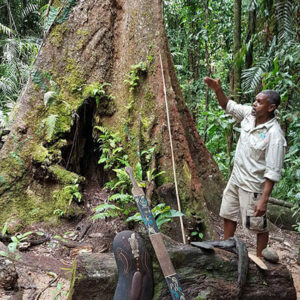 Discover the ancient truths about plants, bush food, traditional soaps and ochre paint as you wander on private walking tracks with an experienced Indigenous guide at Mossman Gorge. 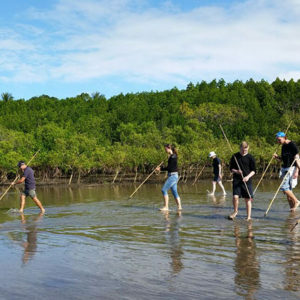 Learn traditional fishing and gathering techniques at Cooya Beach from a Kubirri Warra clan member as you explore beach, mangrove and mudflat habitats. Self-drive to Cooya Beach, 20 minutes north of Port Douglas where you will meet one of the Kubirri Warra clan members. You will be guided on an informative two hour coastal cultural walk along the beach. Cooya Beach is one of the traditional fishing grounds of the Kuku Yalanji people. 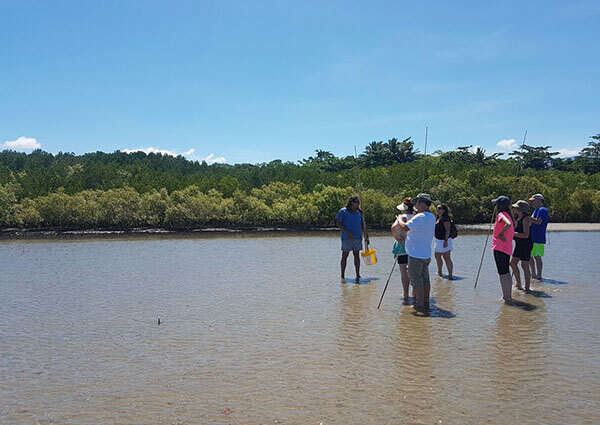 Coastal mudflats and mangrove habitat teeming with aquatic life. Search for mud-crabs, mussels and small fish. Note: this is a self-drive itinerary. Self-drive to The Mossman Gorge Centre which is an Indigenous eco tourism development and gateway to Mossman Gorge. Here you will be welcomed with a traditional smoking ceremony of spiritual cleansing before embarking on a gentle one-and-a-half-hour guided walk on private walking trails with an experienced Indigenous guide. Learn about traditional plant use, identify bush food and traditions like making bush soaps and ochre paint. Note: this is a self-drive itinerary.